Spine surgery deals with spinal trauma, spinal infections, spinal tumour, spinal deformity & other adult degenerative conditions of the spine. 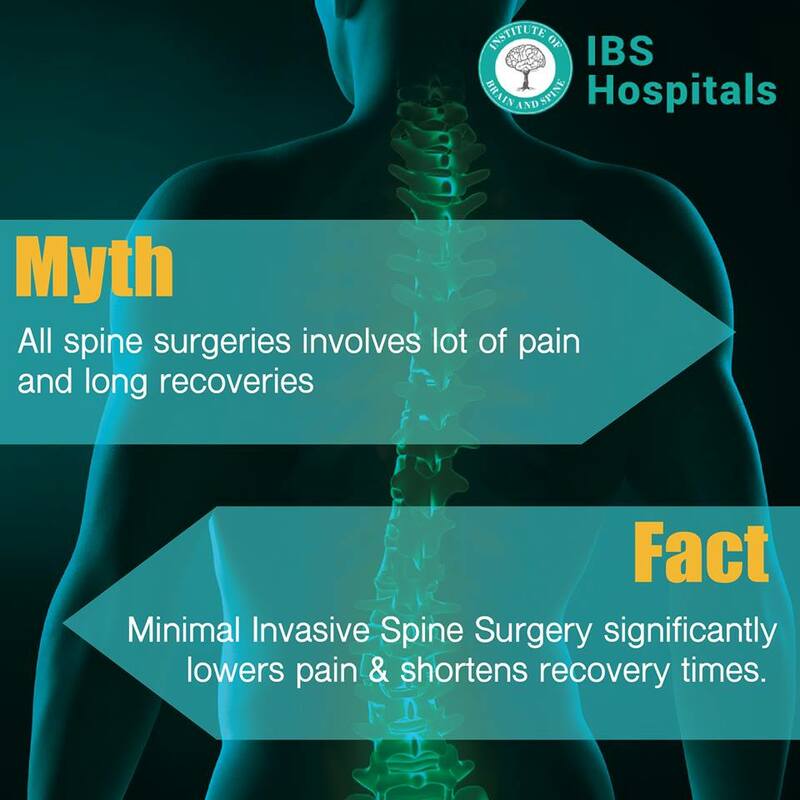 We have the Best Spine Surgery Surgeons in Delhi who have conducted a wide variety of anterior surgical procedures. We perform all spinal procedures independently from Cervical Spine to Sacrum.IBS hospital has the best experts in the world to deal with complex spinal procedures like fractured vertebrae, tumours, scoliosis, osteoarthritis, herniated discs, neck & back injuries, spinal deformity, spine infections and congenital abnormalities. Shoulder replacement surgery is a procedure where the shoulder joint is replaced if damaged or worn away, usually by arthritis or injury. Our shoulder is a ball and socket joint and the shiny cartilage prevents the bones from rubbing together. When the cartilage is damaged by injury or worn away by arthritis, it can make the joint painful and stiff. In such a situation we provide Shoulder Replacement in Delhi so that the new shoulder joint can help in improving mobility and reducing the pain. Artificial shoulder parts are usually made of metal or plastic, or a combination of these. There are different types of shoulder replacement. In partial shoulder replacement part of the shoulder joint is replaced, usually at the top of the upper arm. In case of total shoulder replacement an artificial ball is attached to the top of the upper arm. Moreover, an artificial socket is also attached to your shoulder blade. Knee arthroscopy is a procedure carried out for the diagnosis and treatment of knee injuries. It is a minor surgical procedure which is done using an instrument called an arthroscope. We provide the Best Arthroscopic Knee Surgery in India for confirming treatment for knee problems such as meniscus tear and cartilage wear. Along with knee there are other joints such as the shoulder, elbow, ankle, hip and wrist, which can also be viewed using this instrument.